Be it entertainment, video chat, live streaming, conferencing, surveillance, or intelligent manufacturing, video is now ubiquitous. It is increasingly the essential ingredient, the secret sauce that brings people together. Video is intuitive, convenient, and informative. It has become the preferred medium of information delivery, alongside text and image, and is helping to reshape the world in a variety of ways. People look for security and efficiency from video surveillance, they like to interact through video communications, and, more and more, they seek an immersive ultra-HD experience via entertainment video. All of these require a network that is cloud-based, integrated, open, and that has high bandwidth and low latency. As an important enabler of enterprises’ digital transformation, video is evolving from a basic service of businesses to a fundamental capability. 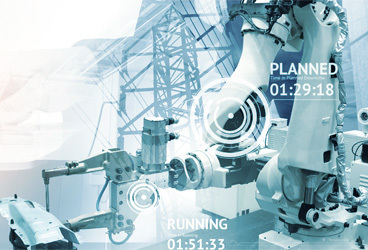 In Industry 4.0, robotic arms and robots that can view and respond to their environments make automatic, intelligent, and flexible manufacturing possible. In industries with high security requirements, such as in petroleum and petrochemical, cameras are extensively deployed at locations such as oil fields, factories, drilling platforms, and pipelines. This is with the aim of identifying and flagging potential security vulnerabilities in real time. When machines can view and respond to their environment in this way, production and operations become more efficient and secure. Video is everywhere, including on mobile phones and tablets, computers and televisions. Video is making communications more efficient and affordable for individuals and businesses. New technologies, such as holographic delivery, make videos much more expressive, enabling people to interact face-to-face despite being separated by long distances. For example, Professor Stephen Hawking once beamed a live hologram of himself to the Sydney Opera House, speaking to the audience about his thoughts on technology, the universe, and life. The potential of the technology is clear for education, for business, and for entertainment. Today's entertainment videos are rich in content and form, raising expectations for a premium video experience, such as with 4K ultra-HD video. We live in a mobile era with a fast-growing live streaming industry. People increasingly create and watch live videos on their mobile phones. Live streaming applications introduced by Internet giants such as Facebook, Google, and Twitter have fueled this trend. 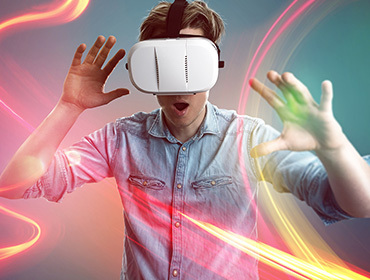 Also part of this trend are new technologies such as augmented reality (AR) and virtual reality (VR), which are regularly applied in live streaming as well as in games, films, and other areas. These developments are bringing a more immersive and interactive experience to users. Data from MarketsandMarkets1 shows that the global video surveillance market is set to reach around US$75.6 billion by 2022, with a compound annual growth rate (CAGR) of 15.4% between 2017 and 2022. 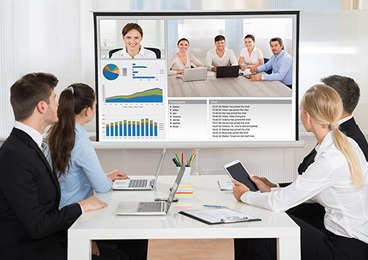 In terms of the video communications market, using video conferencing as an example, the global market for video conferencing is forecast to expand at a CAGR of 8.5% from 2016 to reach US$7.85 billion by 2023, according to Transparency Market Research2. For entertainment video, taking video-on-demand (VOD) as an example, Transparency Market Research forecasts3 that the global VoD market will expand at a CAGR of 9.3% from 2016 to reach US$73.9 billion by 2024. Amid this explosion in video innovation, many enterprises are setting their sights on developing video as a key productive force to support their digital transformation. In healthcare, for example, video can be used to support medical services delivered to remote communities where there is a scarcity of local know-how or a complete lack of resources. Elsewhere, insurers are applying video to remote damage assessment for road accidents, thereby expediting assessment-to-repair process, as well as claims. Such applications also reduce labor costs and save time. In telecommunications, carriers are offering IPTV-based HD TV video chat services to connect children of migrant workers with their parents, and senior citizens with their families. Yet, while trendy, video is very data-heavy. Its data requirements are far greater than those of audio and text. This is placing growing pressure on network bandwidth and analytics capabilities. Enterprises therefore need more intelligent video processing systems, as well as access to larger broadband capacity. Efforts across the entire video ecosystem are required to make this a reality. Video surveillance: from "seeing" to "seeing clearly" and "understanding"
From factory production to city management and emergency communications, video surveillance enhances efficiency and security. It also facilitates informed decision-making, which is why so many state and city governments around the world use them. In today's ecosystem, "seeing" is no longer sufficient for intelligent video surveillance. It is now about "seeing clearly" and then "understanding". Seeing clearly means cameras have to guarantee 4K or even higher quality in all conditions. Enabling "understanding" requires cloud-based platforms built on intelligent and connected networks capable of sharing and analyzing massive amounts of data and extracting their true value. 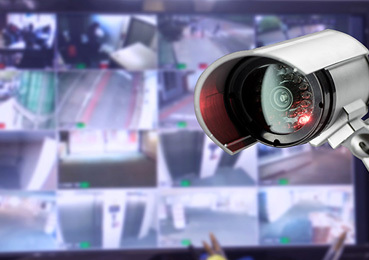 Most current video surveillance systems can only analyze video data around one location or within a very limited area. The systems are generally unable to intelligently interact with data from surrounding devices to broaden the coverage and analysis. Their front-end devices typically have to send the original video data to a back-end computing center for analysis. This takes up network resources, affects analysis efficiency, puts pressure on the computing center, and impedes the center's big data and data mining capabilities. Traditional video surveillance systems tend to be built in silos by different industries and departments, with manufacturers using a wide range of standards and types of architecture. The massive amount of video data is stored in separate data servers. All of this results in repetitive system construction. Connecting platforms becomes harder, while making it tougher to combine and share video data fast enough to support timely and informed decision-making that requires inter-departmental collaboration. With the rapid expansion of enterprises and urbanization, traditional video surveillance systems can no longer keep up with the changing needs. Cloud deployment is vital to ensuring flexible allocation of computing, storage, and network resources to handle massive volumes of data. This, in turn, opens up capacity for new services, features, and businesses to be rolled out. The security of video surveillance systems is a concern as the threat of cyber-attacks and viruses grows. As networks become more connected, an attack at any point can impact the entire network. At critical moments, if the video surveillance system fails and data loss or damage occurs, the compromised functionality could render the investment worthless or close to it. There can also be data privacy implications. Deploy video cloud to distribute intelligence across the network – from front-end devices, to network edge, to cloud center. Put in place ultra-HD front cameras that have a wide range of sensing and pre-processing capabilities, so that the cloud center can focus on big data analytics and data mining to rapidly find valuable insights that support timely and effective decision-making. Connect different video surveillance platforms to one network in order to maximize the value of video data. To do so, it is important to unify industry standards and use multi-protocol gateways to enable cross-sector connections (such as those of public security, transport, and tourism), making it possible to rapidly retrieve related video data. Build cloud-based video platforms and optimize the network architecture to satisfy changing usage needs. This is with the aim to flexibly allocate computing, storage, and network resources, while also enabling rapid capacity expansion and roll-out of new services. Increase investment in the security of video surveillance and put in place a holistic protection program that covers cloud, networks, and devices to secure the system, data, and personal privacy. Combine resources with other parts of the ecosystem to bring in cutting-edge algorithms and develop general-purpose systems and uniform standards. This is to accelerate integration of third-party applications to support the evolution and innovation of verticals. Wide usage of video communications across all industries has transformed the role of enterprise communications systems, moving them from a supporting role to one that guides production. Video communications is now a must-have capability for enterprise management, production, and business processes. Having such capabilities allows companies to benefit from significantly lower communications costs, as well as improved operating efficiency and productivity. The rapid development of real-time communications video has helped accelerate the digital transformation of industries including healthcare, education, tourism, finance, and others. Real-time video communications services should provide users with a simple and smooth experience whether users are using mobile phones, tablets, computers or televisions, and whether users are at home, in the office or on the go. The user interface needs to be intuitive and friendly. But devices vary in terms of network interface and line-quality varies too, meaning that poor and inconsistent performance can deter users from trying out new services. At present, there is no uniform standard for the interoperability of video services. Different video communications services use different media signals and protocols, resulting in silos and fragmentation. It also increases development costs, impedes new application development, and negatively affects user experience. It is difficult, if not impossible, to win user loyalty and achieve broader commercialization if enterprises rely on video communications alone. It is important to build core video capabilities into premium video services that users can really experience. But fragmented traditional industry chains are generally not open, which makes it difficult to bring together all the required resources. This in turn leads to higher costs and lower development efficiency. Use HD video encoding technologies, such as H.265, and provide quality of service (QoS) across the network to ensure that users receive a premium video experience in 1080p and 4K ultra-HD formats. Ensure collaboration between devices and cloud, so as to flexibly meet user needs in different scenarios, and win loyalty right from the entry point. Develop a connected communication cloud. Connect the audio/video output/input ports from different networks to eliminate silos. Build a connected, secure, and reliable video communications network to improve accessibility. Collaborate across the industry in ecosystem development. Bring together the power of the industry as a whole. Make video communications on any device more accessible through cloud and open APIs, making it easier to develop communications video applications in different sectors, such as healthcare, education, security, and other common scenarios. Verizon's acquisition of AOL and AT&T's of Time Warner, along with Facebook Live's move to support 4K streaming for 360-degree video and Google Daydream working with Major League Baseball on a VR documentary series, highlight how quickly the entertainment video business is evolving. Video content is everywhere and new technologies, such as 4K and VR, are rapidly developing. This means users now have far more options. But it is also more difficult to choose content across platforms. In addition, for televisions, tablets, and VR headsets, along with mobile phones and video devices in smart cars, it is essential to offer users a fast, friendly, and unified interface to deliver an immersive video experience. Users have a strong interest in video, but it is not always easy for them to find the content they like. Analysis of user intentions and providing appropriate recommendations is key to improving the value of video content. The explosive growth of video content, the need for a premium experience on any device, and the need to meet users' personalized demands have all raised the bar for video service operation and maintenance (O&M). A robust end-to-end video service O&M system is now necessary to deliver high-quality services and build competitiveness. User interest in ultra HD video, live streaming, and mobile entertainment has led to higher network requirements. As demand for entertainment video diversifies, network architecture will only meet the needs of business if it is based on the cloud and is not focused only on data transfer. Optimize end-to-end user experience with a fast, robust, scalable, and secure network. This will facilitate the aggregation of content, deployment of cloud-based platforms, and service distribution. The next step is then to create a premium experience that is simple, enjoyable, and personalized. Develop capabilities in video big data analytics to help innovate in operating models. Aggregate content from different platforms and study user behavior on these platforms. Then create user profiles and provide users with personalized video content, recommendations, and targeted advertising, so as to fully leverage the value of video. Use smart operation analysis reports to measure performance in real time and maximize value. The O&M of video services requires a complete visual interface for both quality control and measurement of user experience. This will enable the platform to identify malfunctions, optimize user experience, and improve operating efficiency. Establish a broadband network with wide-coverage and fixed-mobile hybrid capabilities, and transition data-centric networks to video-centric networks. This will meet video transfer needs, support development of scenario-specific services, and ensure the network can smoothly evolve to meet future needs. Network operators need quantifiable standards to evaluate video experience. This will allow them to establish guidelines for network planning, construction, adjustment, and optimization. The video industry is huge and complex. It involves many different areas of specialization and a variety of stakeholders with a multitude of skillsets – filming, editing, production, operation, transmission, analysis, and delivering an end-to-end experience. There are also the skillsets covering devices, networks, platforms, and applications. In order to achieve robust, fast-paced, and sustainable development, governments, enterprises, and industry organizations must actively work with these parties to lead the industry in the right direction, toward innovation, development, and wider application. Push for upgrades of related devices, such as ultra-HD cameras, VR headsets, and set-top boxes, and further popularize the use of these devices to users, in order to give them a better experience. Develop an open, cloud-based, and integrated video platform; share video capabilities with partners by opening up algorithms and application interfaces, aiming to accelerate the integration of third-party applications; explore innovation in operating models to amplify the value of video in different industries. Enhance the capabilities of fixed and mobile networks; unify industry standards and achieve interconnection; work with industry partners to optimize the standards for video experience evaluation4, in order to improve operating efficiency and to provide the best possible video experience. Realize intelligence and connectivity across the entire network; continue to optimize intelligent algorithms to effectively analyze massive amounts of video data and to flexibly allocate computing, storage, and network resources. This will enable flexible expansion and underpin smart decision-making. Actively promote the development of the video industry, working with video-related industry organizations around the world to establish alliances in niche markets and verticals. Facilitate the research, verification, and optimization of related technologies and standards so as to enable agile innovation in high-quality video services. The rapid development of video-related technologies and applications has not only accelerated digital transformation in traditional industries and improved quality and efficiency, but also given rise to new industries and business models. Huawei is a strong supporter of video services, and is committed to working with partners to seize the opportunities that arise to expand the industry in a commercially viable, stable, and sustainable way. 4.Huawei offered a video experience measurement system called U-vMOS in 2015. With technical analysis on samples of subjective video experience, Huawei created a set of objective video measurement criteria. To cope with the growth in video data amid ongoing migration, Huawei provided the Shenzhen Municipal Public Security Bureau with a new generation of intelligent cloud-based video solution with Video PaaS (Platform-as-a-Service) as its core. Huawei built Africa's first modern "Safe City" system in Kenya using new information and communications technology. China Telecom Sichuan introduced its "012" transformation strategy a few years ago. It aims to integrate video, fixed broadband, and mobile broadband on a single network. As part of its strategy, the carrier identified three main requirements for video: to be entertaining, interactive, and spanning a wide range of industries. The carrier also launched its "Missing Home" video telephone service, allowing users to connect with their friends and family anytime and anywhere. The Missing Home service is deployed across different sectors and industries, including education, healthcare, and entertainment. Since its launch in mid-2015, more than 5.48 million people have used it, including 2.23 million television users and 3.25 million mobile app users. China Telecom Sichuan worked with more than 20 video partners in this business to generate greater value, including China Telecom Guangdong which launched a similar service in Cantonese. Turkcell is the largest mobile carrier in Turkey. Using Huawei's Hybrid Video Platform, the carrier achieved a breakthrough by enabling users to access video services on different devices with a single Turkcell account and password. Users can access a vast amount of personalized content as well as live video streaming and video-on-demand services after choosing their preferred service packages. Users can synchronize videos on different devices, share and comment, as well as link to their social media accounts. These offerings ensure a premium user experience. In the first half of 2017, the number of Turkcell OTT users and IPTV users has increased by approximately 30% and 20%, respectively. Video is now a key growth engine for the carrier's business strategy. As Deutsche Telekom's former video service was unable to support its strategic development, Huawei provided the carrier with a hybrid video solution that enabled Deutsche Telekom to integrate fixed broadband, mobile broadband, and content delivery services on a single network.